OCBC’s 4Q18 market-related income from wealth and trading segments may be affected by reduced client activity and a flatter yield curve. We expect further upside on asset yields as OCBC’s mortgage book gets repriced, although we temper NIM expectations on higher deposit costs. Potential upside to dividends as CET-1 ratio exceeds targeted levels; maintain ADD with Target Price of S$14.00. Trades below mean at 1.2x CY19 P/BV. 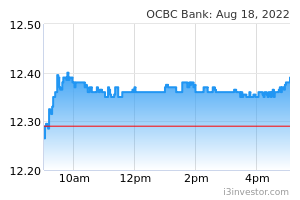 We estimate OVERSEA-CHINESE BANKING CORP (SGX:O39, OCBC)’s net profit to be a lower S$1.09bn in 4Q18 (-12.9% q-o-q, +12.2% y-o-y) as seasonal weakness, weaker non-interest income and heftier credit costs weigh on earnings. OCBC’s wealth segment could be dimmed by reduced client activity from a continued risk-off stance while trading income is likely to be affected by a flattening of the yield curve. MTM losses from the bank’s insurance arm could also be a key drag on earnings. Barring further benefit to margins from a release in excess liquidity as in 3Q18, we still think that there is NIM upside into FY19 as the ongoing repricing impact from OCBC’s SG and HK mortgage portfolios come into effect. Having said that, we moderate our expectations on FY19 margin expansion across the banks to 3-5bp (from 6-9bp) on the back of a persistent rise in funding costs from fierce fixed deposit rate competition and a continued lag in the transmission of Fed rate hikes into asset repricing. We forecast OCBC’s NIM to rise 1bp q-o-q in 4Q18 to 1.73% (FY18: +5bp to 1.7%). 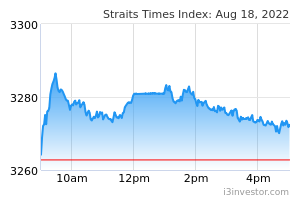 We believe that the liquidation of Coastal Oil Singapore is not indicative of further material asset quality deterioration in the oil and gas sector. Nonetheless, heftier credit costs towards normalised levels are likely to be in view. In this respect, OCBC could be impacted the most in 4Q18 due to its US$122.7m exposure to Coastal Oil Singapore, which we now understand could have been exhibiting positive cash flows up until liquidation, as well as the bank’s particularly muted levels of provisions in 9M18. The implication of supposed positive cash flows would mean that this exposure may not have been duly provided for despite its weakened operating metrics. That said, collateral on this exposure may lessen provisioning risks. Our expectations of 18bp of impairment provisions in 4Q18 (3Q18: 8bp) would bring FY18 credit costs to an estimated 8bp. We cut our FY18-20F EPS forecasts by 4-10% as we adjust our earnings estimates to account for slower NIM growth. We maintain our ADD call on OCBC with a GGM-based target price of S$14.00. We think that a larger dividend payout above the 37% declared in FY17 could be on the cards in view of the bank’s stronger 13.6% CET-1 capital ratio in 3Q18. Downside risks: an escalation in US-China trade war tensions.